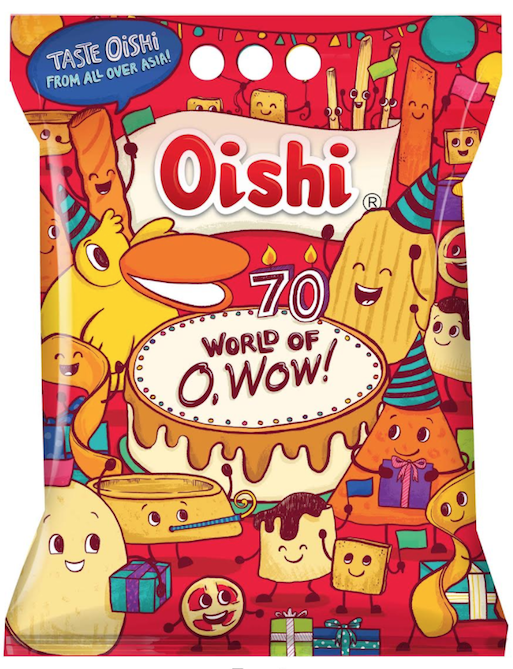 the canDIshhh tales: World of O'Wow from Oishi! I've loved Kirei since I was little, I'm so happy that I can still share it to my kids! Oishi has produced numerous of snacks through the years that has catered to everyone's taste buds. They've also built a brand around Asia. It makes me so proud because it's a home grown Pinoy brand. I was so excited when I opened it! Hahaha.. These snacks are not sold in the country, but for this holiday season - it's available!